This is actually a brand new. Not that the look of this Dual MTR10 audio system points to that. It is up as a pre-order at Amazon, offering a look of the 1970s, as well as the functionality of that era, all in one handy little package. We love the look of the unit, which is a real throwback by Dual. The only concession to the modern era being those built-in speakers (although there is a line-out if you want to use other speakers too). 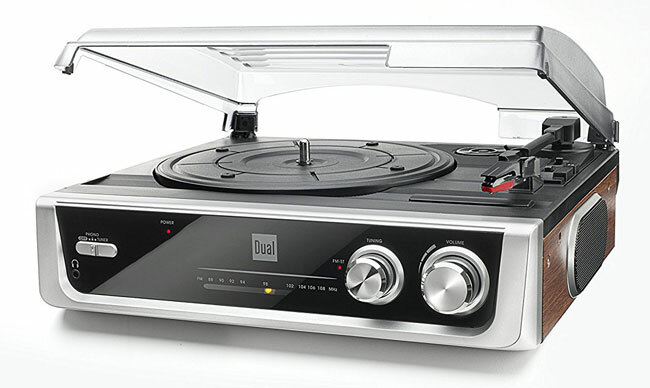 Within that vintage unit is a twin-speed, belt-drive turntable with auto stop/start and a cover for when not in use. Below that is an FM radio with manual tuning and reception via a wire antenna. All of that for £79.99 and as we said, available to pre-order now.